When asked how important it is to include personal subject matter in her lyrics, DeJ Loaf responds with a rhetorical question: "What would music be without it?" The Michigan native is quick to say that writing comes much easier to her without the need to fabricate lyrics or concepts. This attitude is only part of the reason why she's the latest rapper to grab the Motor City spotlight. For the inaugural episode of Exclaim! TV's Sweet 16s (which is filmed in partnership with Reign Media), we caught up with the rising Detroit emcee before a recent performance in Toronto to hear what she considers to be the best 16 bars she's ever written. Prior to treating us to a few rhymes from "Bird Call," taken from the 2014 mixtape $ell Sole, DeJ Loaf spoke to Sweet 16s host King Reign about the relationship between her personal life and her lyrics, as well as representing her home city of Detroit in her music. She further revealed that her love of writing developed at a young age, moving from scribbling out information from textbooks in the third grade to writing music and lyrics later in life. 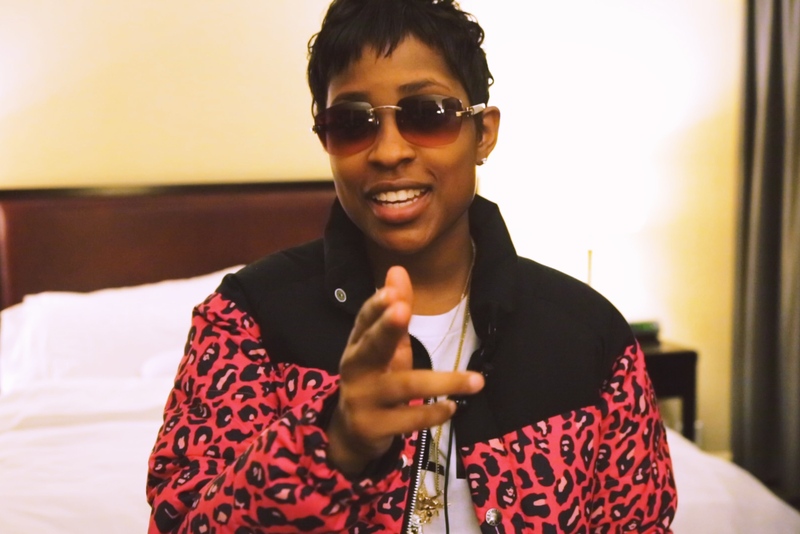 Watch Dej Loaf spit her sweet 16 in the player below. You can also read our recent interview with the rapper here.